A recent Harvard Business Review article explores the approach Kaiser Permanente is taking to speed the healing of their hip replacement patients. 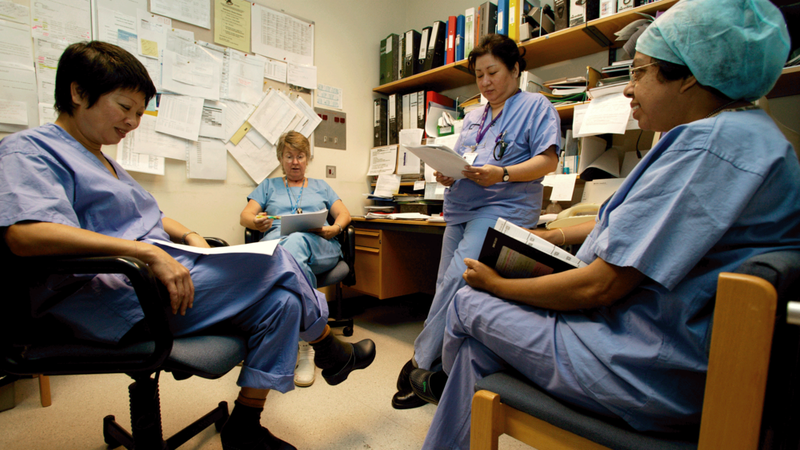 After studying their process, Kaiser concluded that half their patients could go home safely the same day of their surgery, if and only if, the entire care team followed a set of carefully coordinated procedures. Many of these procedures would have to take place outside of the hospital setting. More Evidence for the Observer Effect in Hospitals, But Does It Apply to the OR? When employees in a hospital are being monitored, patient outcomes rise, but in an OR setting, turnaround times — one marker of consistency and patient safety — don’t improve from observation alone. The “Hawthorne effect,” is when individuals, typically research subjects, actively change their behavior when they know they are being observed and monitored. This effect has been found effective from everything to hand washing among health care workers to increased voter turnout when voter preferences are being assessed. In hospitals across the country, more and more people are choosing to stay awake during surgery. Why? What does this mean? How does this trend impact how OR directors manage their staff? Achieving a positive patient outcome is a primary objective for any surgical encounter. Many factors impact whether this goal is met. A recent study reported by FierceHealthcare.com indicates a successful outcome may have as much to do with the patient's knowledge and expectations as other factors. As a result, investments in patient education may produce more satisfied patients. You know one of your biggest day-to-day challenges is how to help surgeons, staff and administration to make choices that result in the best clinical and business outcomes. It is frustrating to watch people make the same poor choices over and over. Hand hygiene is a particularly frustrating area as everyone should know intuitively that frequent and proper hand washing is essential. Yet problems persist. We've always known running an OR is one of the toughest jobs around, but now its been proven and explained by several management studies. Harvard Business Review reported on the challenges of being caught between taking direction from the C-suite while also providing direction to your team, which it called "vertical role switching." The development of large amounts of data in the healthcare industry is causing many hospitals and health institutions to begin leveraging this information. Just last month, one institution, showed exactly how to leverage clinical systems data by tackling the No. 1 most expensive hospital condition, sepsis. This potentially fatal, whole-body inflammation is caused by severe infection, but can be stifled if an intervention is done early and appropriately. Penn Medicine's algorithmic early warning system did just that. Since robotic surgery's inception with prostate cancer treatment, many other areas of surgery have been exploring its potential benefits in terms of patient outcomes. These robotic systems are believed to be helping extend the careers of older surgeons, and shorten the learning curve for younger ones. However, the mixed evidence on robotic surgery’s long-term effectiveness cannot be ignored. When was the last time you evaluated the costs associated with surgery in your hospital? More specifically, have you evaluated those costs in an innovative way? New research that was published in the Annals of Surgery has taken one angle on addressing the rising cost of healthcare, and it seems that the findings may significantly alter costs and mortality rates for years to come. This would be welcoming to an industry in which costs and better outcomes have been pushed to the forefront due to the Affordable Healthcare Act. Keep reading to determine if the innovative approach is right for your hospital. As the Affordable Care Act (ACA) continues to push physician reimbursement towards a value-based payment program, a majority of CFOs have begun to temper expectations with new physicians due to the fact that most are hired for improvements in quality rather than productivity. A survey recently conducted by the Healthcare Financial Management Association (HFMA) illustrates this by showcasing that only 25 percent expect to see positive returns within a physician’s first two years on the job.